Congratulations! By reading though these snippets of personality traits attempting to define narcissism, you have a good sense of nearly every affective, narcissistic symptom! In reality, more narcissists exist than we may believe. Consider this statistic: it is estimated that over 6% of the population suffers from narcissistic personality disorder (NPD). It is important to distinguish between traits of narcissism and the actual disorder as defined by mental health experts. – Frequently showing arrogant attitudes and/or behaviors. – Consistent displays of envy whilst believing everyone else in envious of them. – Using exploitative techniques against others for personal gain. – Incessant need for attention and/or praise. – Believes themselves to be in a “higher class,” often only associating with those similar. – Fantasizes about fame, wealth, beauty, power and success. – Grandiose beliefs pertaining to self-importance. – Exaggerates upon their successes and talents. 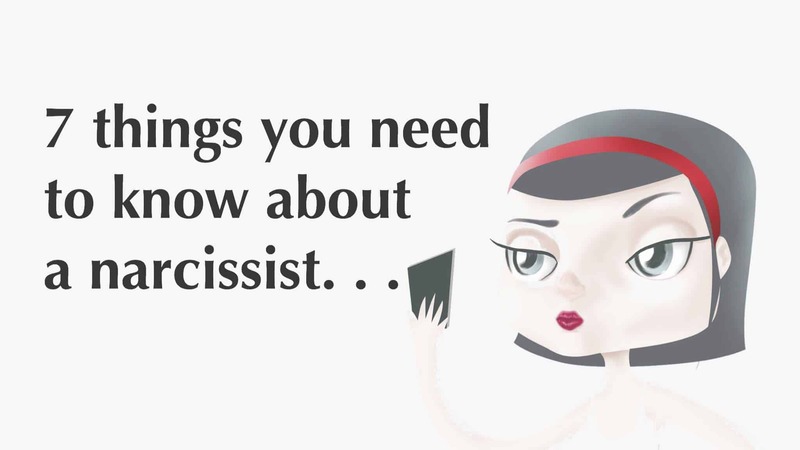 Now that you’ve got a good understanding of narcissism, here are 7 other things you should know. Narcissism is considered an enigmatic condition by medical professionals, in that the root cause(s) are unknown. The consensus, if one can indeed call it such, is that narcissism may arise from some combination of environmental and genetic factors. Maladjustment – the inability to “fit in” to traditional social circles – is generally considered to be a contributor, and is often observable from an early age. Many narcissists are clever folk in that they disguise themselves very well. First off, narcissists don’t often exhibit traditional signs of ‘mental illness’ in the traditional sense. In fact, a narcissist may appear to be gregarious, outgoing and charming – all desirable traits to have in a friend or acquaintance. However, it may become apparent that something may appear to be “off” due to their inflated sense of self-importance and an insatiable need for attention. However, a clever narcissist is often quickly able to dispel any notion of emotional or psychological imbalance. According to research, there are increasing numbers of narcissists among us. Social scientists and other experts state that over 9% of 20- to 29-year olds exhibit traits of extreme narcissism, as opposed to just over 3% of people over the age of 65. These disproportionate numbers have led some to conclude that society’s penchant for narcissistic behavior is on the rise. What is to blame for this increasing trend? Some point to our fascination with social media, selfies, and consumerism. Narcissistic disorders cannot be treated in the traditional medical sense. There is no regimen of pills or other scientific means of curing someone of narcissism. To complicate matters, most narcissists do not believe there is anything “wrong” with them; quite the contrary, actually – narcissists have an innate sense of superiority. In other words, everyone else is wrong and, quite possibly, jealous. Uh-huh. While some narcissists can slip by undetected, there indeed are ways of discovering if someone is indeed narcissistic. One way to do this is to simply attempt to have a conversation with them. Narcissists are notorious for attempting to dominate conversation. They love to talk (usually about themselves), but hate to listen; they generally don’t care much for other people’s problems, opinions or observations. Also, narcissists almost always display some degree of manipulation. They’ll twist words, facts and situations to make themselves appear better to everyone else, often at the expense of others. Additionally, they often won’t follow through the generally-understood social contract: most of us will be accommodating and display some semblance of selflessness, while narcissists almost never display such nobility. It goes without saying, but having a narcissist as a family member is extremely difficult on those that unconditionally love and care for the person. Narcissists are very taxing on other people’s emotions, particularly for people that are close to them. As such, it may be wise – in order to save themselves from continual pain – to remain “close yet distant.” This can be extremely hard to do, as narcissists are master manipulators – often playing on others emotions to garner sympathy and support when, in fact, they are not deserving of such. The vast majority of people reading this article are kind, selfless and sympathetic to others. We will almost always give people “the benefit of the doubt” and forgive them of their innate flaws. Simply put: we value the sacredness of human life. As such, while it may be tempting to completely disavow a narcissist, it is important to remember that they are human beings as well. Do we need to interact with them? No. Do we need to appease them? Absolutely not. But, at the same time, we can at least “do no harm” while still standing our ground against their attempts at deception.